When heading to the beach, you want to make sure you don’t leave anything behind! We have a round up of a few beach essentials, customized with your Cricut machine, to make your time in the sand as fun as it can be! First of all, grab your gear! 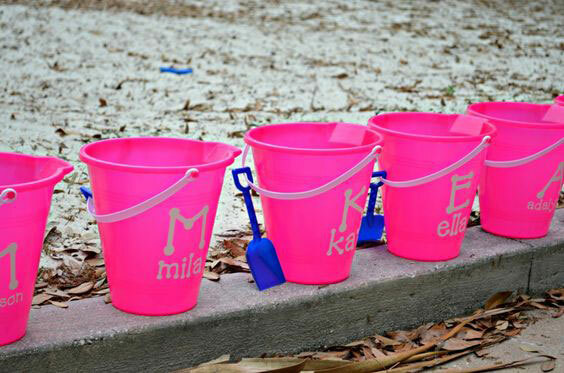 You can use this bucket tutorial from Sew Woodsy design to make these personalized beach buckets so the kids can have hours of fun building sand castles, collecting shells, and not fighting over whose bucket belongs to whom! One of my favorite things to do at the beach is comb the sand for the prettiest shells. I could spend hours just walking and collecting. I also love having a super cute tote to pack my beachy things, like sunscreen and extra sunglasses, and books. This super cute DIY canvas tote is a great project to pin from the Cricut Design Space since it’s the perfect way to carry all of your goodies and looks stylish too! It also makes a great gift for that beach lover! Another important thing about hanging out in the sun all day is drinking lots of liquids! 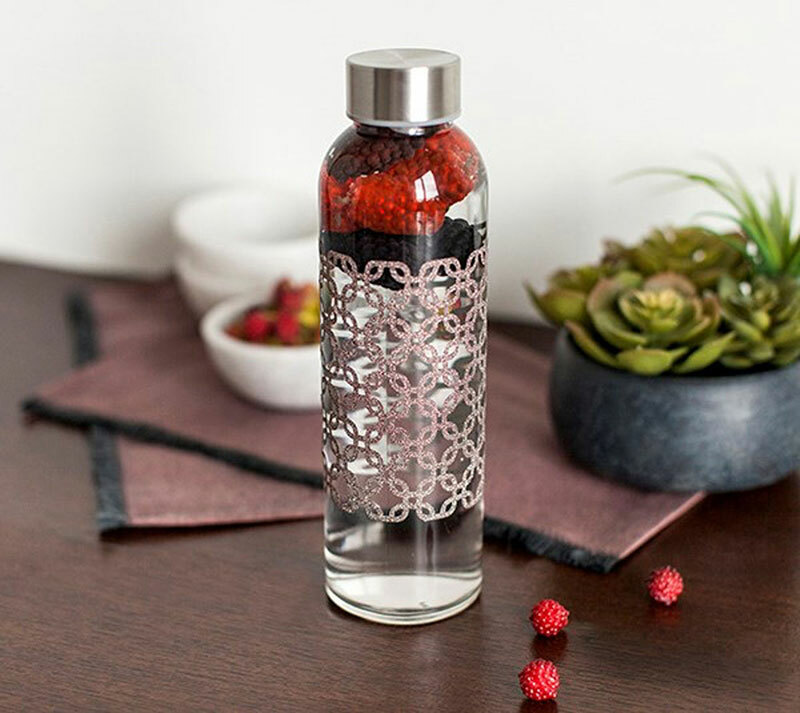 This fun patterned water bottle will help keep you hydrated! It’s a great way to sip on lemonade or any other fun drinks you like! 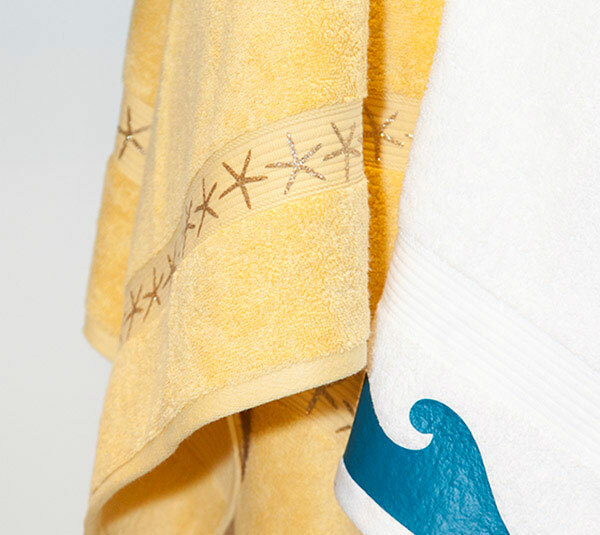 Check out this project for the perfect beach towel made with Cricut iron-on glitter in gold. It’s cute to use at the beach, and at home in your bathroom. 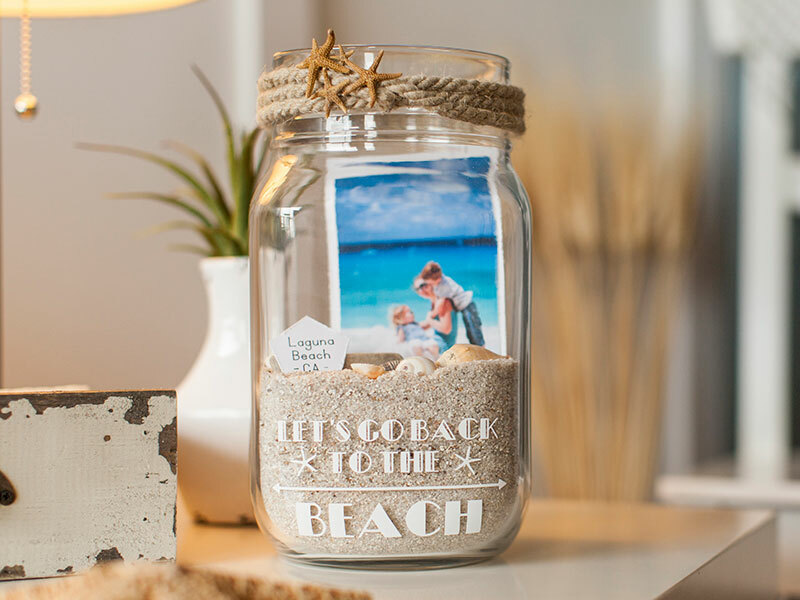 When your day is done and you are packing up to head home, make sure you grab a few extra handfuls of sand (or at least save what you shake out of your beach blankets) and make this awesome beach memory jar. It’s a great way to preserve those last fleeting moments of summer, and a fun project for the kids! You can find the project in Cricut Design Space. Which summer beach project above do you think you are most likely to make? Let us know below in the comments! 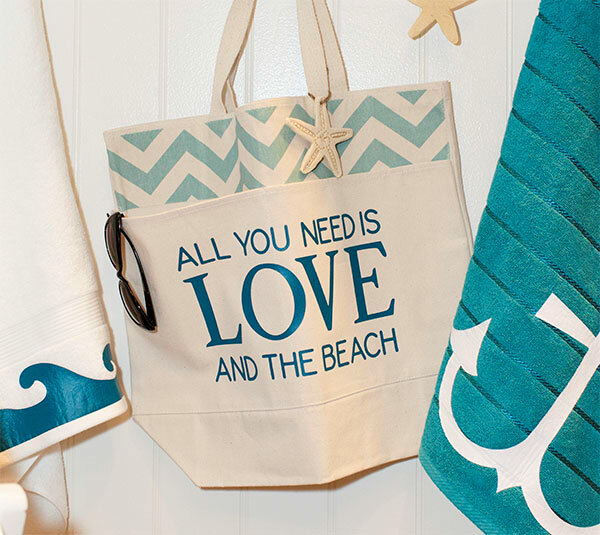 Those are just a few essentials for a day at the beach and summer fun! For more fun and inspired ideas, you can find me at Jenniferrizzo.com. OMG!! I absolutely love the Mason Jar. So many people love the beach. What a great way to utilize the shells and sand one would gather from their beach day!!! Definitely making this one!! LOVE LOVE LOVE the tote bag and memory jar! We are going to the beach in September and I will have these with me! Super cute idea ! I Love this jar !